In this post, we share app monetization statistics, including comparing freemium vs premium. Also, we explain the newest monetization strategy: paymium. 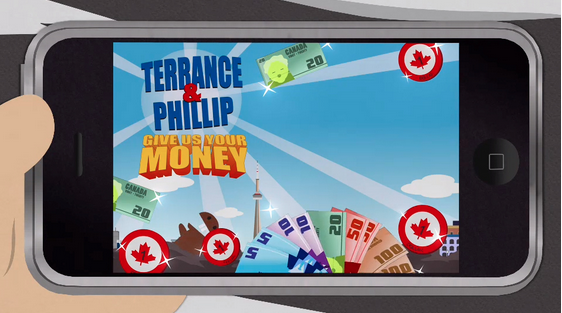 On November 5, 2014, Comedy Central premiered the South Park episode titled “Freemium Isn’t Free,” which lampoons the popularity of freemium apps and links them to addictive behaviors. It makes sense that the comedy writers would choose this topic. After all, freemium apps are the most popular of all the monetization methods used by app creators nowadays, and mobile apps (especially games) need to be as addictive as possible in order to increase revenues. Let’s look at the numbers for two of the most popular types of apps. In the freemium vs. premium battle, it turns out there is a clear winner. According to Distimo App Analytics, freemium apps have higher gross earnings in both the Apple iTunes App Store and Google Play Store. In October 2014, nine of the top 10 apps in the iTunes App Store within the US were freemium games, with Clash of Clans, Candy Crush Saga, and Game of War: Fire Age leading the ranking (followed by Pandora Radio). You have to go all the way down to the 27th place on the list to find a paid app, in this case Minecraft. The numbers are similar on Google Play, with the same freemium apps filling the top positions and Minecraft being the first paid app in the ranking – the only difference is that here it’s in the 47th spot! When it comes to mobile apps, it seems clear that, although the traditional buy/sell system is not disappearing altogether, it’s becoming residual. Why? Mostly because users are not willing to buy apps they can’t try in advance. The good news for app creators is that users do seem prone to make in-app purchases in order to enhance their experience. In this sense, we can say that mobiles apps are behaving more like a service than a product. There are several ways freemium apps can earn revenue. A popular one is subscriptions, where users pay a recurring amount (typically on a monthly or yearly basis) in order to access premium features or exclusive content during a certain time. Subscriptions are mostly used by music and video apps (e.g. Pandora, Spotify, Hulu), social/communication networks (e.g. LinkedIn and WhatsApp), and online media. To put things into perspective, during the month of October 2014, the iPad version of The New York Times was among the top 25 iPad apps by gross earnings, while the iPhone version ranked 100th. The free-to-play model is without a doubt the most popular freemium method among mobile games. Free-to-play games are free to download and use, but once users enter the game they can purchase extra items or features. These can be merely ornamental but enhance the game experience in some way, such as giving access to extra screens, speeding up the player’s progress, or conferring improved or extra abilities. When it comes to prices, many in-app purchases used to be micropayments, but that is not always the case. In fact, some really addictive games are anything but cheap. For example, in Game of War: Fire Age, the player can buy “gold” in packs valued from $4.49 to as much as $89.99. And it turns out that the app gets the bigger part of its gross earnings selling the most expensive gold packs, according to the statistics shown in the iTunes App Store. 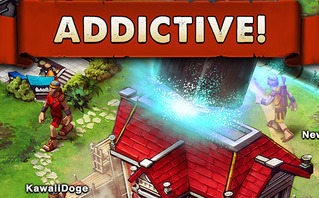 It is also worth noting that Game of War: Fire Age is promoted in the App Store with a big red banner with the word “Addictive!” in capital letters. Are we getting close to South Park’s lampoon? In some free-to-play games, in-app purchases of extra features can give players a big advantage over others in the game. Many times players are tempted to buy those extra features if they want to have a chance to win. At a certain point, this so-called Pay-to-Win system created a bad reputation around games offering in-app purchases, with non-paying users leaving the game as soon as they noticed it’s not really free. In an article published in the Harvard Business Review in May 2014, Vineet Kumar points out the importance of non-paying players in the freemium ecosystem. He says they can play the role of “evangelists,” making the game turn viral and bringing new players who may be willing to pay. According to Kumar, “a free user is typically worth 15% to 25% as much as a premium subscriber.” So, game creators are now focusing on the development of extra features that enhance the game experience without giving paying players too big of an advantage over the rest. In order to succeed, a free-to-play mobile game must be well balanced: it must truly be free to play (and to win), so it can attract non-paying players, but it also must offer extra features that are enticing enough to make people pay for them. In a nutshell, a paymium app is a paid app that also charges for extra features via in-app purchases. As its name suggests, it is essentially a combination of the paid and freemium models. Paymium is relatively new and still being experimented with, but use of this monetization method is expected to increase during the next year. In this category, you can find games such as some versions of Angry Birds, Kingdom Rush Origins HD, and Capcom’s Mega Man X, which are finding themselves among the iTunes App Store’s top sellers in several countries. So, as an app creator, how do you decide which monetization model to choose? After all, the debate is not just freemium vs premium anymore, now that new options like paymium have appeared on scene. That’s great advice to keep in mind. However, it’s important to remember that the monetization model an app creator chooses is not a guarantee of the app’s success. Ultimately it is a matter of considering what type of app you want to build, researching the potential market, and then taking a risk. For more information about the various app monetization methods available, including freemium, premium, paymium and more, please check out our previous coverage of the topic.